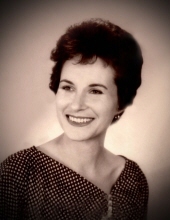 Clara Jean Nesom Hall Morris age 89 of Teaberry passed away from this life surrounded by her loving family at her residence Sunday April 7th, 2019. Clara was born on February 19th, 1930 in Grethel, Kentucky a daughter of the late Alvin Newsom and Nannie Newsom. Clara was the widow of Frank Hall and Alvin Coleman Morris, she was a homemaker and member of the Church of God in Jesus Name in Island Creek in Pike County. Clara is survived by her daughter: Deborah Lynn Hall of Teaberry; step children: Teresa Ann Morris of Florida, Debra Jean Cook of Paris and Ronald Lee Morris of Michigan; two brothers: Bobby Ray Newsom of Teaberry and James Newsom of Betsy Layne; two sisters: Cindy Lou Hamilton of North Carolina and Roberta Miller of Ohio: granddaughter: Rhoda Hall Blankenship; great-grandchildren: Cortney, Coty, Hope, Cruiz, Paisley, Slade and Hayden; great-Great Grandchildren: Brody, Aryonnah, Xavier and Demi; step grandchildren: John, Jeremy, Josh and Justin; and 2 step great grandchildren. Along with her 1st and 2nd husbands and her parents Clara is preceded in death by two sons: Terry Lee Hall and Gregory Frank Hall; one grandchild: Kelly Gene Hall; brothers: Ronnie Newsom, Charles Newsom, Delmer Newsom, Palmer Newsom, Earsel Dean Newsom and Ellis “Estill” Newsom; and sisters: Evelyn Adkins and Martha Faye Reynolds. "Email Address" would like to share the life celebration of Clara Hall Morris. Click on the "link" to go to share a favorite memory or leave a condolence message for the family.